Hope you enjoyed last week’s new featured Great Reef slot machine. We will be releasing another set of new games on Friday to go along the following slot machines: sugar rush, carnival of venice, and forest treasure. More about the new slot machines in this week’s upcoming newsletter. For this week, we’re featuring the popular Lost Inca’s Gold Slot machine at BingoMania with a chance for you to win 1 of 20 $10 free credits (see below for details). This machine is available from the new slots lobby. If you haven’t tried the Lost Inca’s Gold, we think you’re going to love it. Get ready, it’s time to venture deep into the rainforest to discover the ancient gold, gems and treasure of an extinct civilization! You’ll have an opportunity to explorer alongside Jane the WILD as she explores to find hidden treasure on every pay line, while the cool Treasure Maps guide you to up to 20 free spins. Continue to explore inside the dark temple, where a hidden treasure of up to 950 bonus points awaits you. 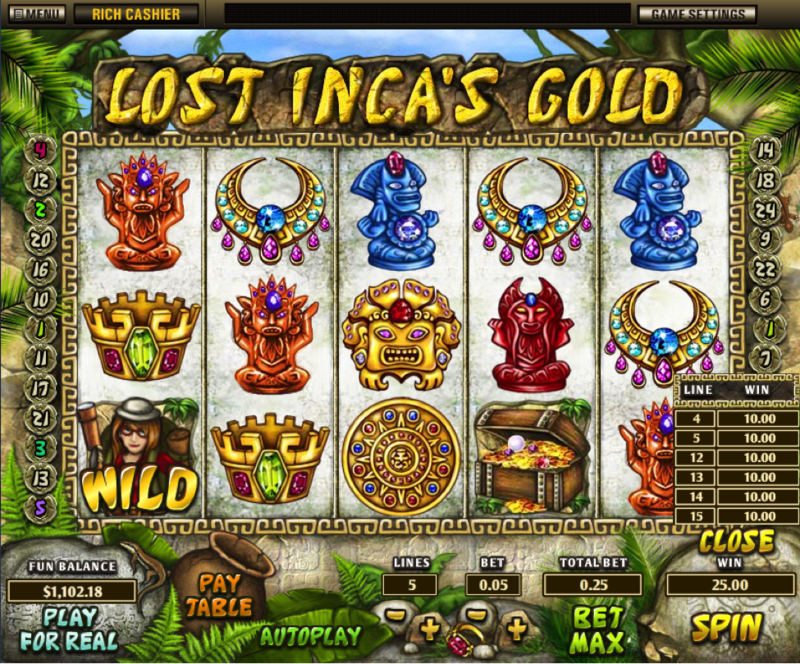 Below you’ll find all the relevant information about the Lost Inca’s Gold Slot including bonus features and max bet. 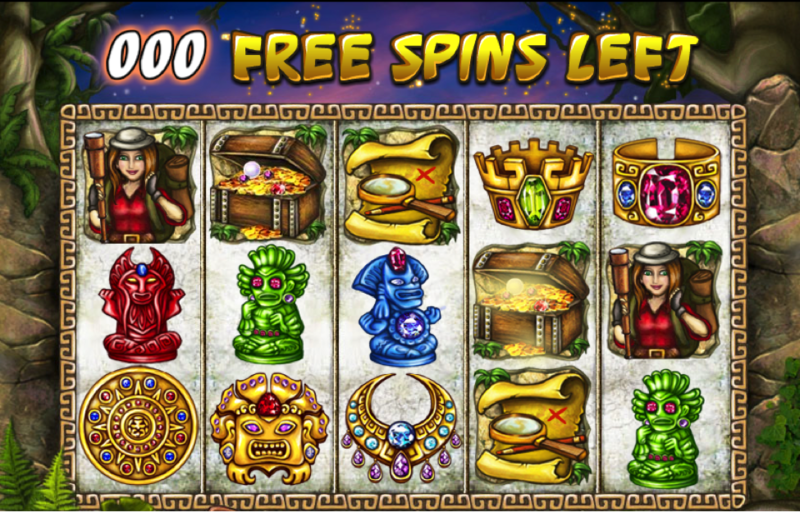 Bonus Rule 3 or more consecutive Treasure Chest symbols appearing from the 1st reel on an active payline will trigger the “Lost Inca’s gold” bonus game where you can win up to 950 Bonus Points! Bonus logic The user selects various options in 3 steps on one stage. The user can win up to 3 times, or end the game before that if they lose once. Then enter your alias along with any comment you may have in the comment box belowWe will randomly select twenty (20) participants on Tuesday by 12pm ET and credit accordingly. Thanks for participating and happy spinning! **update May 27th 12:56pm ET: thank you for participating. The random winners for this week’s contest have been selected and credited. You can find the list of winners here over on the lost inca’s gold facebook post.